Kingston 11 Cuisine offers a unique dining experience with consistent high-quality and delicious blends of Jamaican and world cuisines, in an entertaining and pleasurable atmosphere. Our Jerk Meats are smoke roasted Jamaican style. Street parking is available at all times. Parking is free on Sundays. 19th Street Bart is walking distance from the restaurant. Live music once a week: DJ's perform two times a week on Wednesday's Latin music and Fridays Reggae music and Soul. We must be getting old because both my dining companion & I thought the music was too loud. We had difficulty speaking to eachother over of it. The food has tasted better on other occasions. It was just o.k. this time. Not very many desserts options either. Restaurant was closed for a public event until 6 pm, but they didn't actually open the doors for another 20-30 min. There was a long line waiting by that time. Once we got in, service seemed quick and organized in spite of the sudden crowd. The atmosphere was great, nice background music and fun to see the diverse crowd there. I went specifically for the goat curry, hoping to extend my winning streak after enjoying a great lamb curry at an Indian restaurant a couple nights before. I don't remember the goat curry having any warnings on the menu about being super hot, and I'm usually OK with hot foods. It started out good, but as I continued eating, the burning sensation gradually extended and intensified throughout my mouth and lips and became kind of painful! It felt like the heat of black pepper, and that dominated my eating experience to the point where I could hardly distinguish any other spices that might have been in there. I don't know if this is always the case, but if so I would recommend offering the goat curry in two levels of hotness so more people would be able to enjoy! The oxtail stew is great. We enjoyed the vegetable sides. Our table was split on sorrel. I love this place, but on this day we waited well over an hour for our food to get to the table, and when it did arrive the French toast was burnt, the Jamaican breakfast was oversalted, our 4 year old never received his order of fries and my Jamaican breakfast and sorrel ran out so I had to order a replacement breakfast and drink over an hour into our dining experience because our server didn't have the wherewithal to let us know there were problems with our order or in the kitchen earlier than when it was brought to the table and hour into our experience. The communication and consideration from our server throughout the experience was subpar. I appreciate that my meal (single dish) was on the house, but was aggravated to find the fries that never arrived on our bill. Though they removed it eventually, even the wait to clear that up was exorbitantly long. I don't know that I will return to Kingston 11 after this abysmal experience where showing/accepting accountability was optional. This was my second visit to Kingston 11 and it did not disappoint. From cocktails to the small plates to the large main courses, the food and service were fantastic. The flavors and quality of the food is unmatched. Yes, I would recommend because food is great but service can be slow and disorganized. We went in a party of 8 and it took 20 minutes before I finally asked a waiter if he could send over our designated waiter - no one had said a thing to us. Then, our waiter came and was polite but did not write down our order and unsurprisingly, it was wrong - 1 entree was missing so 1 person had to sit and wait for his food while the rest of us had our entrees. Plus, all of our appetizers were missing - they just never came. We asked at the end for the bill to be reduced to compensate for the mismanagement and they kindly obliged. But maybe they should have offered a reduced bill before we had to ask. Yes, I would recommend Kingston 11 to a friend. The food was delicious, the service was impeccable, and the ambience was lovely. Our only issue was that the noise grew to be quite loud for our little group of older 4, two of whom wear hearing aids, and one of whom should. I was surprised at the menu option being so limited at especially at dinner. Oxtail, Jerk chicken and a salad is all I had to choose from. The food was good and the portion was good however, the price is on the higher end so no doubt that you’re paying for it. This is a nice Jamaican restaurant for our Americans and foreign visitors looking for a taste of island food. This is not for actual Jamaicans in my opinion. My wife and I were excited to try out Kingston 11 after having read good reviews, and seen that it was featured on Check Please, and so made an 8pm reservation on Opentable for a Tuesday. Unfortunately, I received a phone call from the restaurant at roughly 4:30pm that same day, claiming that there had been a misunderstanding between them and Opentable, and that the restaurant was actually closed. No idea who’s fault it really was, or if they just wanted to cancel our low-dollar dinner for two in favor of a bigger group, but they really left us hanging, and we had to scramble for a different last-minute reservation in a city that we don’t know well. The guy on the phone wasn’t rude or anything, but it didn’t seem well handled, and left me with a bad taste in my mouth. Great food. Wait staff helpful. Very very hard to hear compared to most restaurants we go to. Hard to park. Food delicious. Noisy and friendly, just the way we like it. 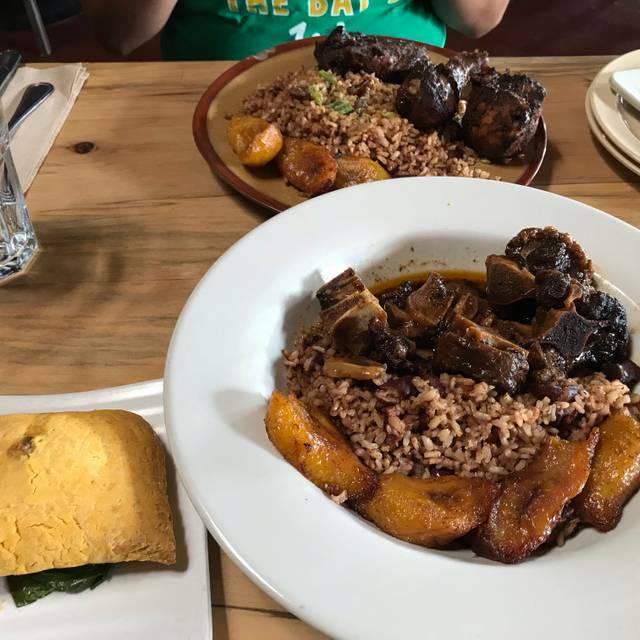 Great Jamaican food with unique touches. Every time I come to Kingston 11 I leave happy! The food is so delicious and that Rum Punch hits just right. This place does not disappoint. Bartender was slow. Food service great. All our food was enjoyed by all 5 of us. Small menu. Delicious small plates. First time here. 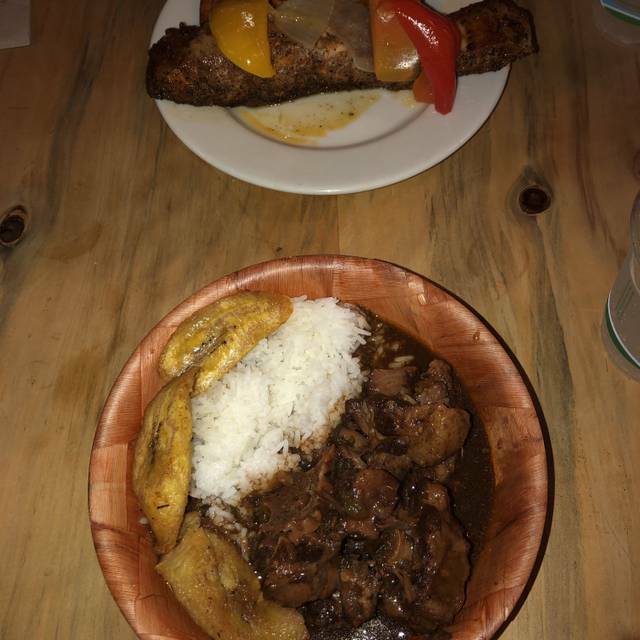 Great jerk chicken with rice and beans, really friendly service, and a community hangout kind of feel to the place. But maybe the music could be turned down a notch or two. Definitely plan on going back! Always sooo good when I go, food is delicious, people are great and service is fantastic. Great food, great music, great service, authentic and laid back ambiance. Was perfect for my birthday!! Friendly, helpful service by everyone and a very welcoming atmosphere. Three of us went for lunch on a Tuesday very early. Food was very good as we ate a bit off of each others plates. 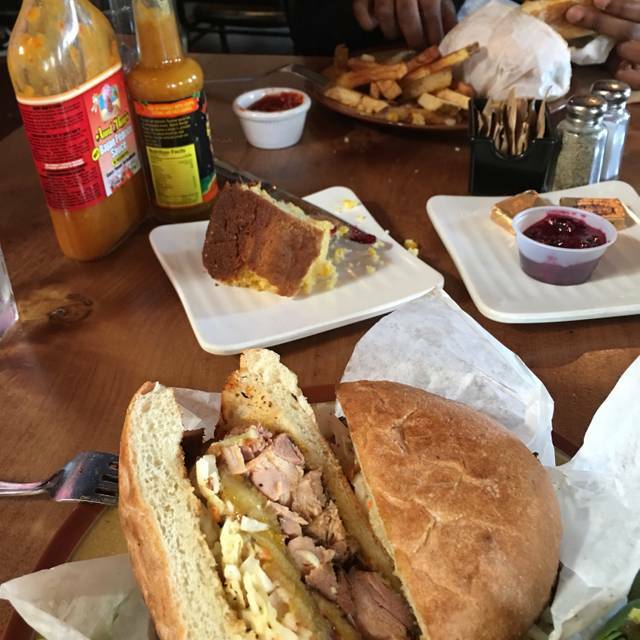 One had Snapper another Saltfish and Cabbage and lastly a Jerk Chicken Sandwich. Also the sides that came with each were all excellent and well matched to the main. The food and value was great, I believe it was the owner or manager who was extremely attentive to us, I wish I could say the same for the rest of the staff. Upon arrival I gave the hostess my name and she told me to wait a moment, she then asked my name again as if she had trouble finding my reservation then after that I didn't see her again and my party had to speak with the owner about getting seated. It was unusual given the time (2pm on a Sunday) it wasn't busy at all and there were many available. Once seated we got cocktails that were amazing (shout out to the bartender for the strong pour), however upon asking if there were oxtails available (sold out) or beef patties (sold out) our service told us that we should have gotten there early. Which was odd because brunch is until 4pm, no problem if things run out , it happens, but saying that we were in essence late when we had a reservation well before closing seemed a bit rude and off putting. It actually made us hesitant to order anything else. This place is good and much needed in downtown Oakland, I just hope the service remains stellar to ensure it's continued success. The food was great, but the service was a little slow. It was raining pretty hard, so there were some light leakage issues too. I'd like to go there again with good weather on a weekday...it may be a totally different experience. They were out of quite a lot of food and kept forgetting parts of our order. Great brunch! Can't wait to go back and have dinner. Food was just ok. 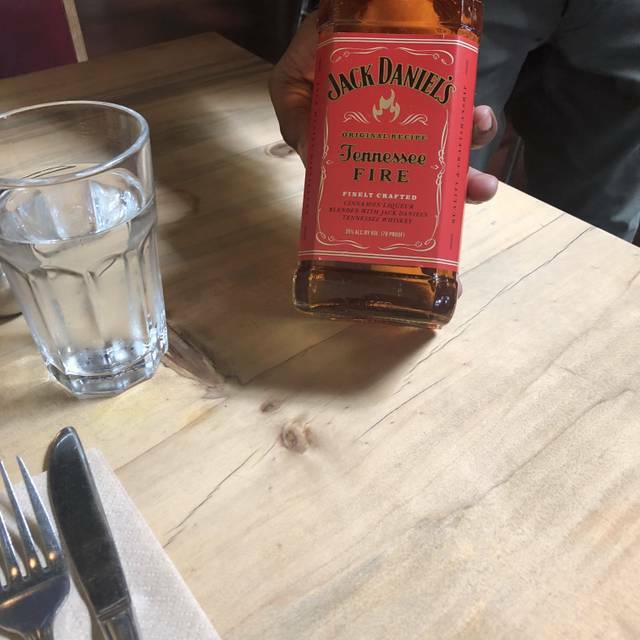 They were also out of hot sauce, which is a pretty big crime for a Caribbean restaurant. Noise was a bit over the top, even early... The dishes wold have been better with hot sauce but they ran out! Ran out? At 5:30 on a Friday night? Server was friendly and a pleasure to speak with. Delicious creative food, great cocktails, served with attentive care in a cool, creative buzzy vibe setting where seriously... the crowd looks like they just came from a hipster photo shoot of the casually beautiful people who you can’t help but want to know! Things are happening in this spot! We ordered hand crafted cocktails, the sweet potato appetizer, the jerked chicken and goat dish all of which were terrific. Definitely a spot to return to. The staff is extremely hospitable and responsive. Thank you for having amazing service. SO GOOD, they are all so nice and the food is just out of the world! 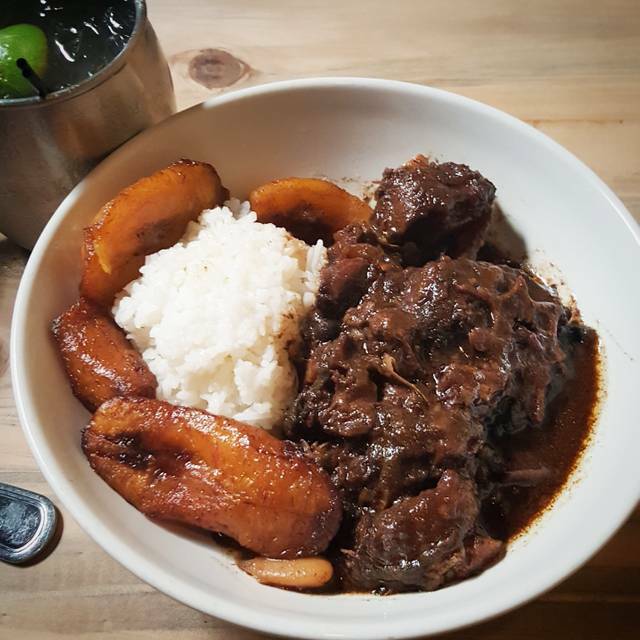 The oxtail stew is a must!!!!! I’m glad we made reservations, because this place gets busy on Friday nights. 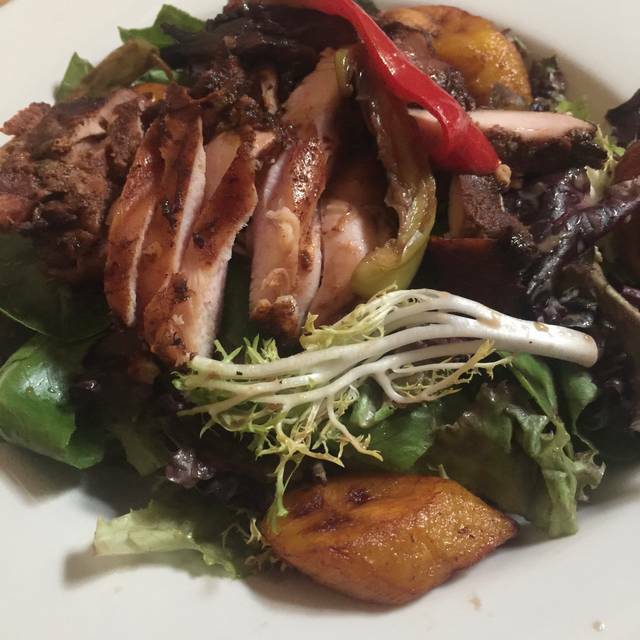 The wait staff was really pleasant, our dishes arrived quickly, and my jerk chicken salad was amazing! This was the worst restaurant experience I've had. The restaurant had agreed to have a party of 30 on a Saturday night at 8:30 and was unprepared. We had reservations at 7:30 but weren't seated until 8:20. When I approached the hostess at 8pm she said, "It's just that time of night." But that's why I made reservations, to avoid the wait. But the staff was saving tables for the party of 30 and had not planned how to seat the other reservations. Once we were seated more things fell apart. They ran out of so many of the dishes we ordered; they brought us an empty hot sauce bottle; they ran out of cutlery and we had to eat most of our food with plastic forks and knives. While waiting for our last two dishes they brought us two we had already eaten. The dishes, I'm sure, were not their best. The jerk chicken came with two wings and a drumstick, no breast nor thigh. The black pepper tofu, highly rated in the reviews, was boring, I imagine since they had to stop and make the sauce they had run out of during the night. The staff tried so hard to keep it together. You could see them working together. Our waitress, Tiffany, although becoming more and more harried never gave any attitude. A big disappointment, however, was when the manager came over to ask us about the dishes being returned. We expected he was coming over to apologize, maybe even comp us our drinks or something. But instead it was only to clarify which dishes had arrived and why we had returned what we had ordered. Unfortunately, I can't recommend this restaurant. I have no reason to return as the food was unimpressive. It's all probably luck of the night and the timing of our seating. But it's not worth it for me to try again. Friendly, festive and authentic. We were so happy to find this place before a show at the Fox on a Saturday evening and the food was outstanding! Unique menu choices, robust flavors, generous servings, and totally delicious! Good value. Nice background music but not so loud that it interfered with dinner conversation. Very helpful wait staff. All around, a great find. Very great experience. We enjoyed the music. We had Sunday brunch for my husband’s birthday. It was the 2nd time I’d been there. The food again was excellent. We had salmon for our entree, sweet potato wedges and salt fish fritters for a small plate. My mom and I loved the fritters, my husband did not. He is from the Caribbean. He loved everything else. We had a pitcher of mimosas which we enjoyed. The service was very good, friendly, helpful with questions and very pleasant. My only complaint was the restaurant was very cold. It was raining and cold outside and we felt no heat. Overall, besides the temperature we loved the restaurant and look forward to coming in the spring and summer when it is warmer. 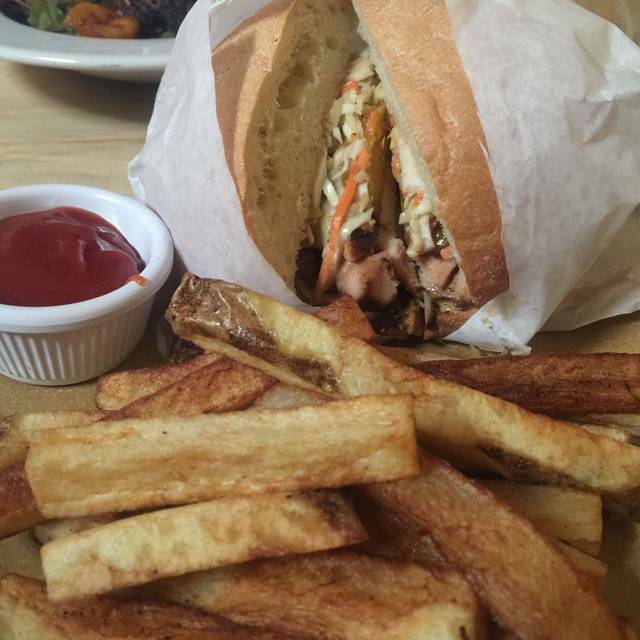 Kingston 11 has a feel of a neighborhood restaurant in dowtown Oakland. 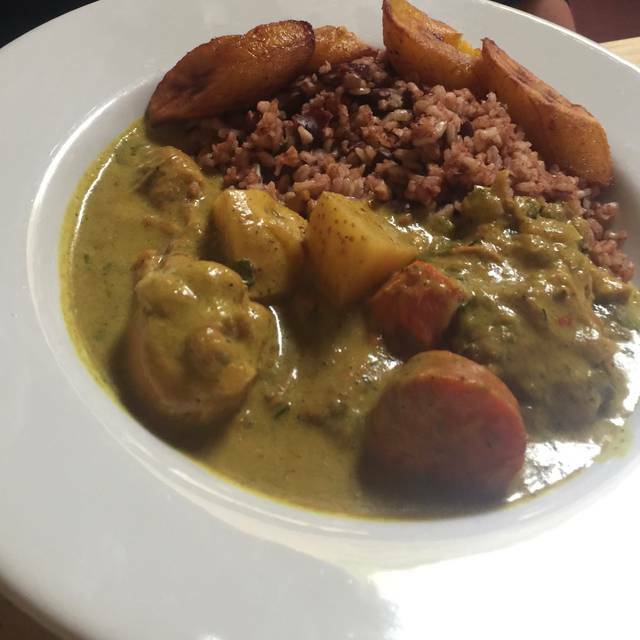 The restaurant is casual with good service and great food including a number of Jamaican specialties like Jerk Chicken and Goat curry. A fun place to eat. Great food. Seasoned well and authentic. Will definitely be back. The restaurant was cold. The chairs were cold, hard metal. Jerk chicken was dry and the seasoning used on it tasted like it came out of a bottle. Portions were not generous. Hard, inedible plantains made it to our plates. The ginger beer they made in-house lacked flavor. The salad was the best thing we ate. I have had better Jamaican food with larger portions for half the price! The staff at the restaurant was very attemptive and helpful. The food was fresh, well presented and scrumptious. I really liked the chicken salad, the favors blended in so well complementing the chicken deliciously. I will definitely return. The black pepper tofu is killer. The cocktails are top notch. And the friendly staff, interesting music and laid back ambiance work for me.